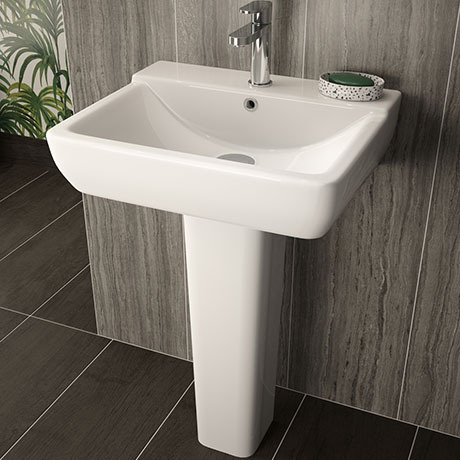 The soft square profile of the Arlo basin with full pedestal, is the perfect match for the different pan design options. Made from high quality vitreous china, this slimline range will look stylish in any bathroom or en-suite. Features a wide tap deck which offers additional space for your toiletries.